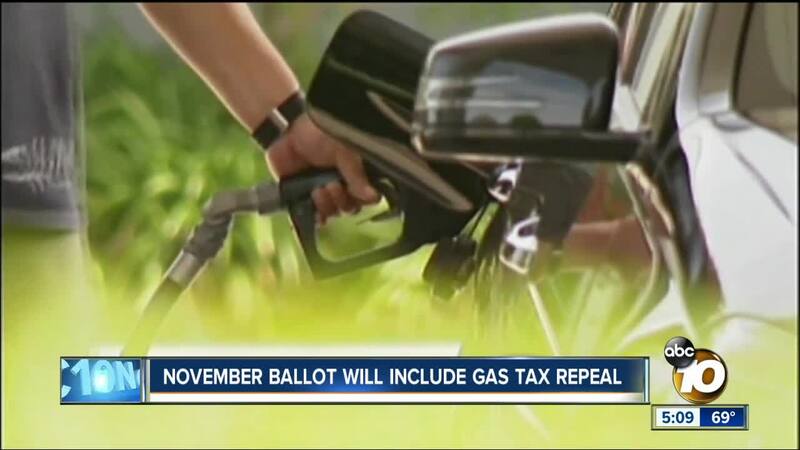 SACRAMENTO, Calif. (KGTV) -- An initiative to repeal California’s gas tax is eligible for the November 6 General Election ballot, Secretary of State Alex Padilla announced Monday. To qualify for the ballot, the initiative needed 585,407 valid signatures, which is equal to eight percent of the total votes cast for the November 2014 General Election. The Secretary of State will certify the initiative on June 28. Supporters of the tax say the money is necessary to fund infrastructure projects and repair deteriorating roads statewide. Critics argue that past gas tax funds have gone to other programs and not infrastructure repair. They expect the same thing to happen this time. 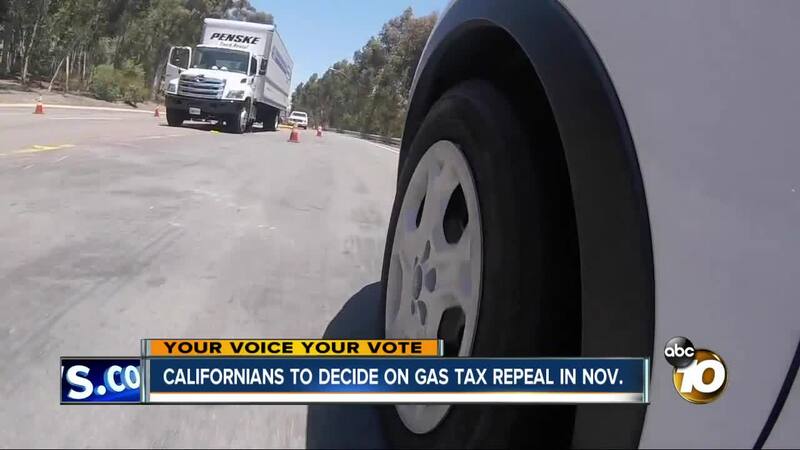 The current gas tax, called SB 1, was signed into law by Governor Jerry Brown on April 28, 2017 without taxpayer approval, leading to criticism of the Democratic governor. The measure increased the tax on gas by 12 cents per gallon, the diesel fuel tax by 20 cents per gallon, and the sales tax on diesel to 5.75 percent. On top of the massive tax increases throughout the state, the measure also raises the vehicle registration fee between $25 and $175, depending on the value of the vehicle on January 1, 2017. Gov. Jerry Brown slammed the initiative on Twitter following the official announcement, saying it "jeopardizes the safety" of Californians. "This flawed and dangerous measure pushed by Trump’s Washington allies jeopardizes the safety of millions of Californians by stopping local communities from fixing their crumbling roads and bridges. Just say no," Gov. Brown tweeted.